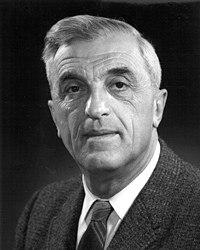 Felix Bloch (23 October 1905 – 10 September 1983) wis a Swiss born American pheesicist, wirkin mainly in the U.S.
↑ Hofstadter, Robert (March 1984). "Obituary: Felix Bloch". Physics Today. 37 (3): 115–116. Bibcode:1984PhT....37c.115H. doi:10.1063/1.2916128. This page wis last eeditit on 24 October 2016, at 15:23.